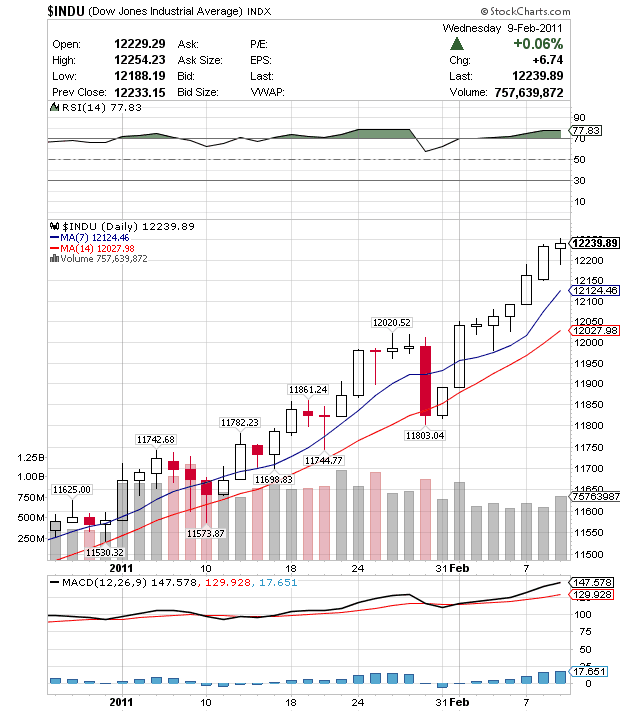 Dow Jones likely to close lower tomorrow. Like I said before, I think I will just stick with a regular Call (no end) options position, a really fast one this time expiring this Friday actually. I am going with an 'In The Money' Call option @ 1.2175 paying a $1.04 per contract. I don't expect a huge drop, around 50 points. 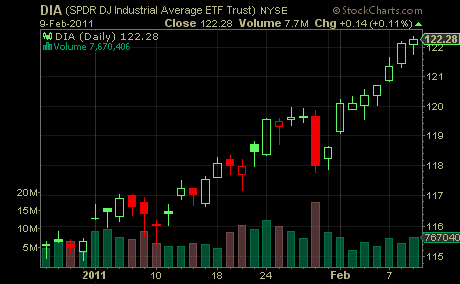 The lower the price of the DIA, the closer it will get to my 1.2175 thus making a profit. I'm still trying to figure if there is a way to visualize this trade setup, because it can get very interesting until Friday.